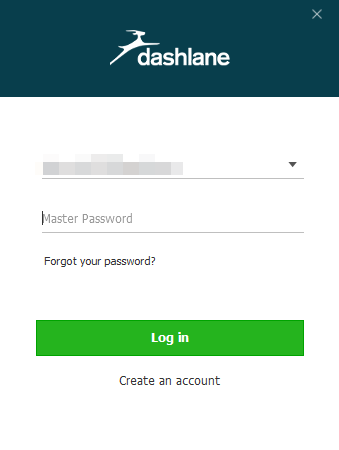 Dashlane lets you stay signed off while using your computer, and then to quickly log in to your Dashlane account when you need it. When you come across a login or registration form in your browser, simply click on the username field, or on the e-mail address field depending on what the form requires, and you will see the special webcard appear. The webcard does not appear on all forms, but only forms relating to a credential. 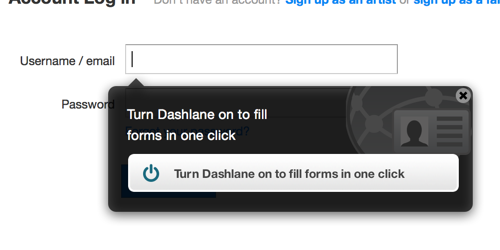 This way, Dashlane does not bother you when a form has nothing to do with creating or signing in to an account. Clicking on this webcard will open the Dashlane login pop-up window, and ask you to enter your master password. You will then be logged in to your Dashlane account. 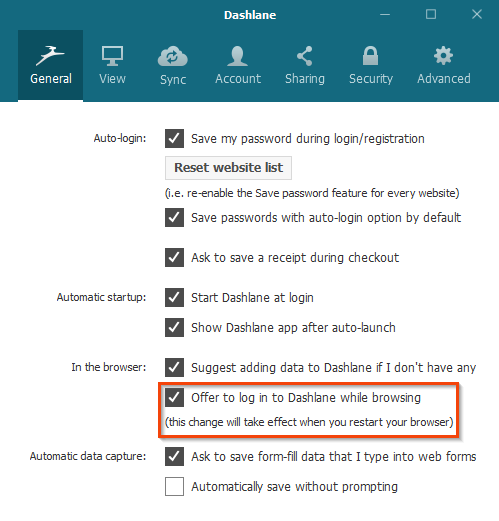 Note that the main application window of Dashlane will stay hidden after you log in. You will be able to keep on reading and using the website you are on, without any distractions. How to enable or disable this option? Simply open the Dashlane application, and then click on the Preferences from the Dashlane menu. 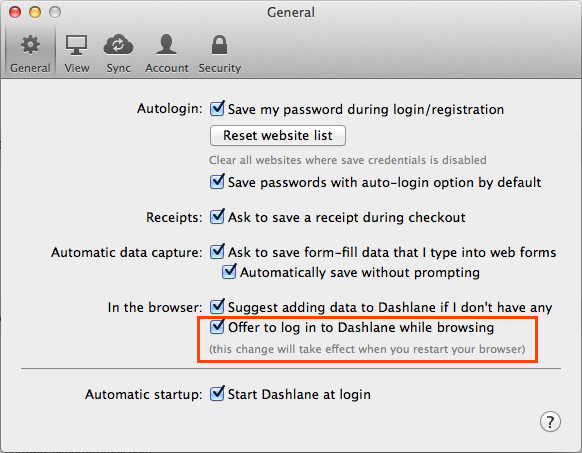 This option is available in the General tab, whether you are logged in or logged out of Dashlane. Open the Dashlane application, and then click on the Tools > Preferences menu. This option is available in the General tab.